The Fourth Judicial District Commission on Judicial Performance unanimously recommends, by a vote of 8-0, that Judge Douglas J. Miles BE RETAINED. 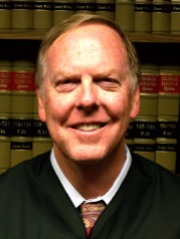 Judge Miles was appointed to the El Paso County Court on September 13, 2010. Prior to his appointment, he served as the Western Region Attorney Advisor for Aequitas: The Prosecutors’ Resource on Violence Against Women. He previously served as a prosecutor for 23 years with the Fourth Judicial District Attorneys’ Office. Judge Miles was the Chief Deputy District Attorney for more than fifteen years and managed the County Court Division, the Special Victims’ Unit, the Economic Crime Unit and the Juvenile Division. He received his undergraduate degree in Education from the University of Arizona and his law degree from the University of Colorado. Participation in community service activities includes the high school moot court competition, the National Council of Juvenile and Family Court Judges, the annual Domestic Violence Summit, TESSA, and the Fine Arts Center. Judge Mile’s current docket is 60% traffic, 35% misdemeanor and 5% civil. On the survey, the judge’s overall average grade by attorneys was above average for all county court judges standing for retention and his scores were above average in all five areas surveyed. His strongest areas were Application and Knowledge of Law and Diligence. Forty-one percent of attorneys surveyed stated that he was very biased or somewhat biased in favor of the prosecution, which is slightly higher than all county court judges. Non-attorneys surveyed responded to the survey with an overall average that is higher than the average for all county court judges standing for retention. Strength areas were Demeanor, Fairness, and Application of the Law. Eighty-nine percent of non-attorney respondents stated that Judge Miles was completely neutral, not biased toward the defense or prosecution.